True outdoor adventurers know there’s no off season for camping. When the weather gets cold, you just need to add some layers and change out some of your gear. And winter camping has many benefits—no people, better views once the leaves fall, fewer bugs and snakes, cozier campfires, no people. Camping in the Southern Appalachians in the winter is perfect. The temperatures are usually mild, there’s little-to-no snow to contend with, and the mountain backdrops are spectacular. Here are our recommendations for camping this season in the Smokies and Southern Appalachian mountains from the new book Best Tent Camping: Southern Appalachian and Smoky Mountains by Johnny Molloy. 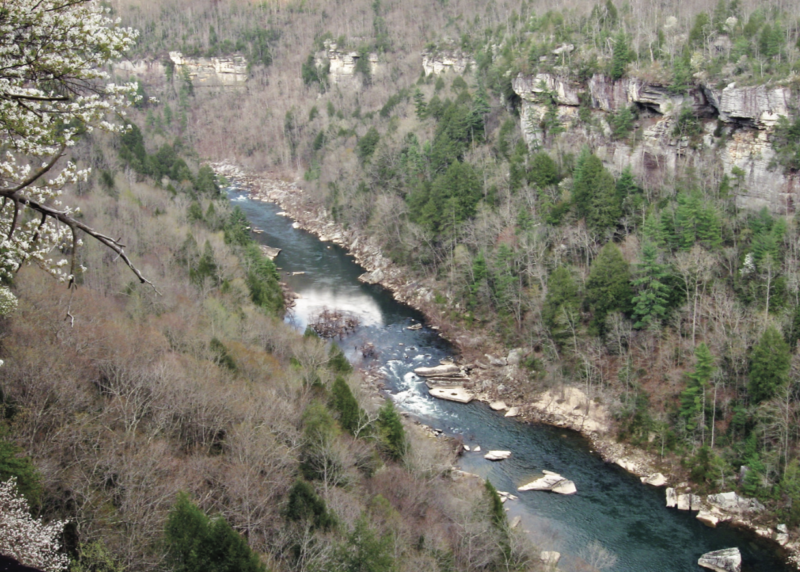 Protected since 1974, the Big South Fork features wild rivers, steep gorges, thick forests, and remnants of human history atop the Cumberland Plateau. A well-developed trail system with paths leaving directly from Bandy Creek Campground makes exploring the Big South Fork easy. Hiking is very popular. And why not? Trails lace the immediate area. The John Litton–General Slavens Loop traverses 6 miles of surrounding countryside. It descends to the valley where the John Litton Farm stands, passes a large rock house, and climbs back up to the campground via Fall Branch Falls. If you prefer a trail with more human and natural history, take the Oscar Blevins Loop. 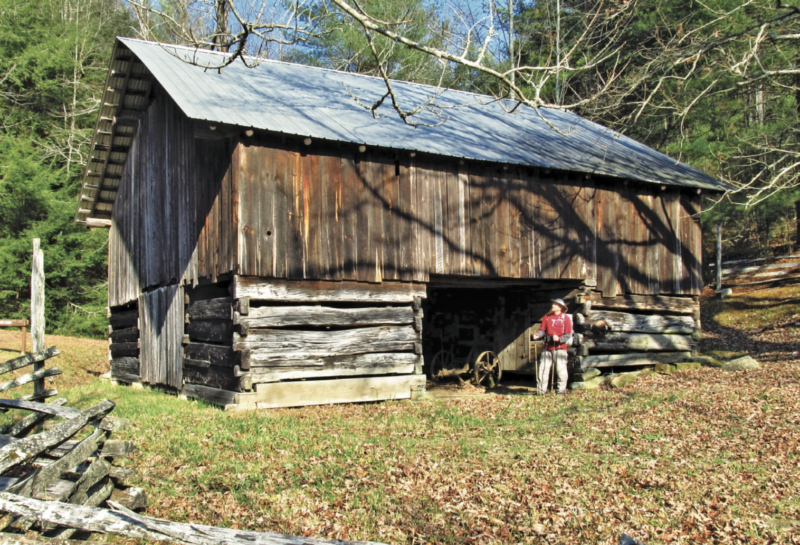 It is a moderate, 3.6-mile loop that passes the Blevins Farm, some large trees, and more of the steep bluffs that characterize the Cumberland Plateau. Another hiking option is the easy Bandy Creek Campground Loop. It is a short, 1.3-mile family hike that offers a good introduction to the area. Want more trails? Stop by the visitor center, and they can point you in the right direction. If you don’t feel like walking, ride a horse. The nearby Bandy Creek Stables offer guided rides for a fee. Foster Falls Campground has been taken over by South Cumberland State Park. It offers a safe and appealing base for your camping experience in the South Cumberlands. The south end of the Cumberland Plateau has some of the wildest, roughest country in Tennessee. Sheer bluffs border deep gulfs—what natives call gorges. In these gorges flow wild streams strewn with rock gardens hosting a variety of vegetation. Intermingled within this is a human history of logging and mining that has given way to the nonextractive use of nature: ecotourism. South Cumberland State Park has nine different units, totaling more than 25,000 acres, ready for you to enjoy. For starters, a connector trail leaves the campground to Foster Falls. 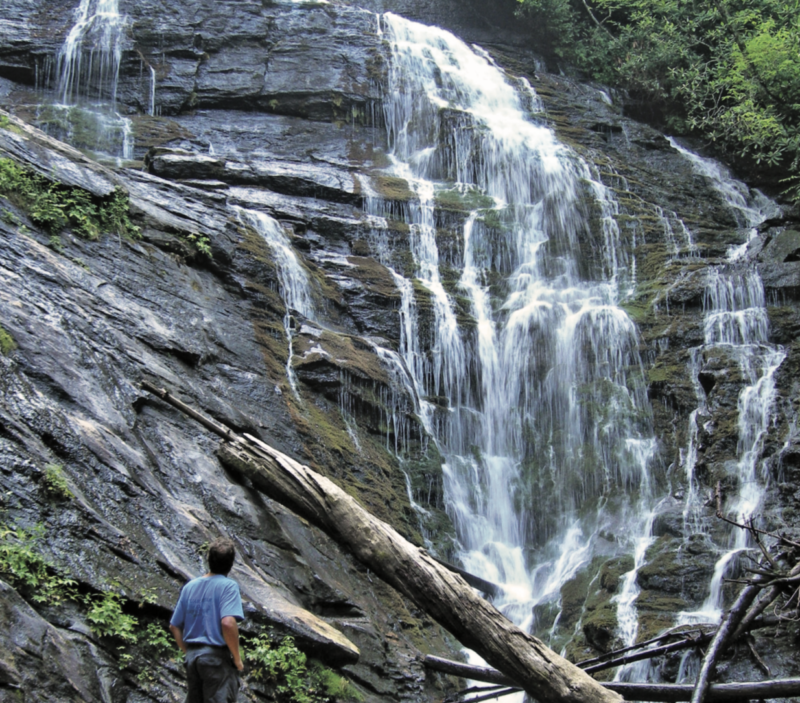 Here, you can take the short loop trail that leads to the base of 120-foot Foster Falls or intersect the south end of the Fiery Gizzard Trail and see Foster Falls from the top look- ing down. If you take the Fiery Gizzard Trail, you will be rewarded with views into Little Gizzard and Fiery Gizzard gulfs. Trail signs point out the rock bluffs where rock climbers ply their trade. The first 2.5 miles offer many vistas and small waterfalls where side creeks plunge into the gorge below. Horse Cove is an unpretentious, small campground adjacent to playful Lake Santeetlah. Located primarily along Horse Cove Branch, a tributary of the lake, the campground with its minimal facilities has an unpolished, old-time feel. In a way, it is two campgrounds: the lower 6 being year-round sites and the upper 11 being warm-weather sites. The reason for the campground’s existence is its proximity to the magnificent Joyce Kilmer Memorial Forest and the adjoining Slickrock Wilderness. Hikers love to walk among the giants of this forest, named for the late writer Joyce Kilmer, who met an untimely end in France during World War I on July 30, 1918. Kilmer is best known for his poem “Trees,” the first two lines of which are, “I think that I shall never see / A poem as lovely as a tree.” After Kilmer’s death, a nationwide search ensued to locate a forest grand enough to memorialize him. 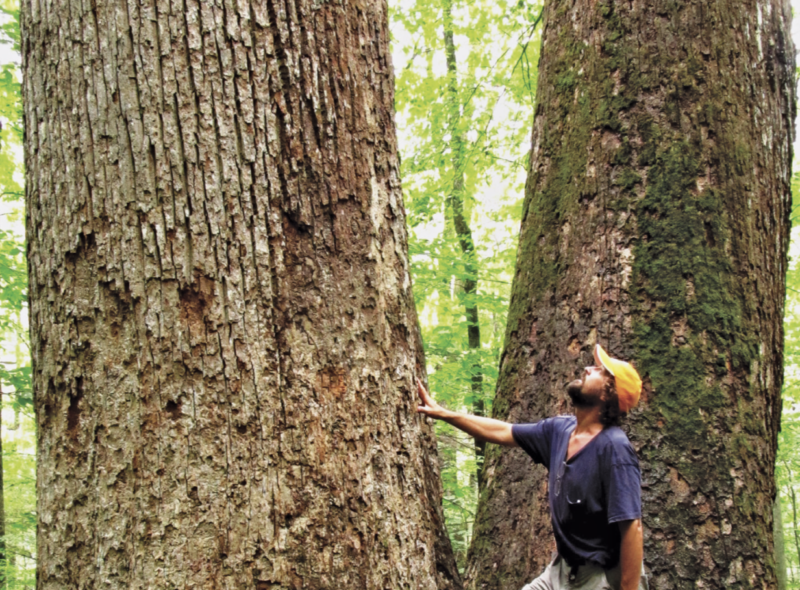 What we see today is a 3,800-acre, old-growth woodland that is one of the most impressive remnants of the Southern Appalachians before loggers permanently altered the landscape. Before the Chattooga was declared a Wild and Scenic River, campers could drive all the way to Burrells Ford Campground. Since then, a protective river corridor has been established, effectively cutting off direct auto access to the campground. This has had mixed results: it has limited the use of the campground but has cut maintenance as well. The short walk may deter some tent campers, but you can guarantee that no RVs will ever be at Burrells Ford. Follow the old jeep road down to the river, entering the protected corridor. The road forks at the river bottom, forested in tall white pines, with a thick understory of holly trees, rhododendrons, and mountain laurels. The Chattooga runs shallow and clear directly in front of the campground—no doubt the ford of days gone by. On the other side of the river lies the state of Georgia, deeply shaded in thick, junglelike vegetation. Deep pools lie both upstream and downstream of the campground, beckoning the camper to drop a line or take a dip. Rainbow and brown trout thrive in the mountain water. 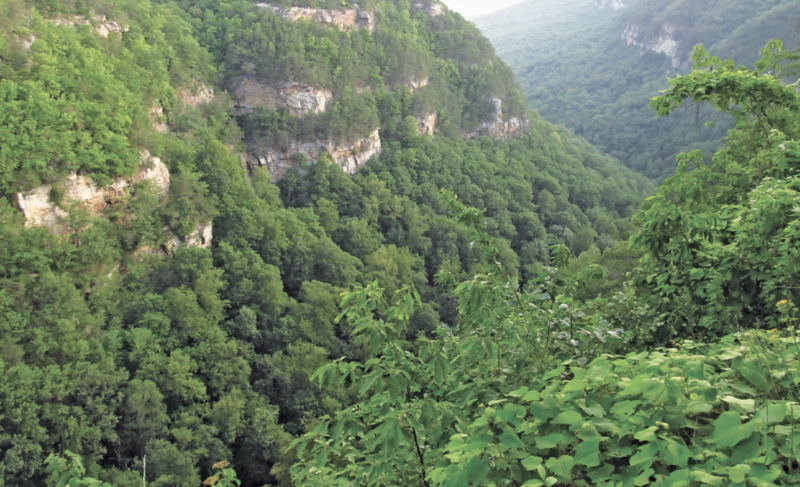 Cloudland Canyon is an example of a state stepping in to preserve a special slice of nature for all of us to enjoy. 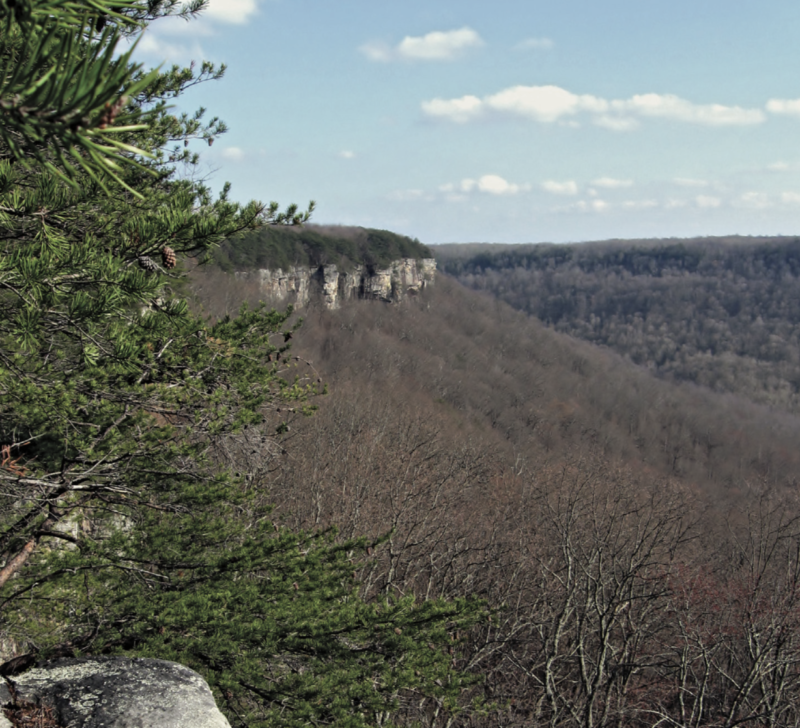 Sure, Cloudland Canyon is developed to a degree, but part of that development consists of three campgrounds, including a delightful one for tents only. The facilities augment the natural state of things on Lookout Mountain, where Sitton Gulch Creek has carved a gorge on the mountain’s western edge, allowing vistas from the rim of the gorge into the lands below. The Walk-In Campground is by far the best. Why? First, it allows tents only. Second, it is farthest from the rest of the park developments. Third, it is well laid out in a handsome, forested setting. Park your vehicle in the Walk-In Campground parking area. The sites are spread along a looping footpath on gently rolling terrain. The farthest sites are three-fourths of a mile from the parking area—and are worth every step.